Overview: This stage takes you away from the coast and deep into the Alentejo – a land of rolling hills, fields that stretch away into the distance, cork oaks, whitewashed houses and historic towns and villages. This is a very different Portugal from the sprawling tourist developments of the coastal Algarve. There’s a lot more space and far fewer people. At times you could also easily think you’re not just a couple of hundred kilometres away but you’ve also gone back a century or two. Distance & Difficulty: Total distance of 188km (118 miles). Most of the cycling is easy. Apart from a bit of a climb when first leaving the coast, there are no real hills – just enough ups and downs to make it interesting and give the leg muscles some variation in pace. We did this route* (see note below) in February and clocked up some of our fastest average daily speeds in a year of touring through France, Spain and Portugal. There are no roads on this route where you are likely to encounter any major traffic – the busiest spots are likely to be as you approach and leave Beja and Évora. The biggest problem you may encounter is the heat if you attempt this route in the summer. The Alentejo can get extremely hot any time from early May through to late September. Rain is not likely to be a problem in the summer but daytime shade temperatures are unlikely to be below 30°C and will often reach 40°C (or more) in the sun. *Note: Rather than going through Aljustrel as shown on the map above, we cycled further north (from Alvalade) and took the N121 towards Beja. However, the section of this road to the east of Ferreira do Alentejo forms part of the IP8 – much of which has since been upgraded to motorway-standard dual carriageway.This road is now closed to cyclists so I have given you an alternative option is on less heavily-used roads. Stages: We did our route (see note above) in two days, stopping for a night in Beja. Although it’s a long day to Beja (109km), the cycling is generally fast and easy – as is the next day (79km) to Évora. There’s also not much to stop for between Vila Nova and Beja. A lot of this route is wide open countryside – great views and riding but there’s not a lot else out there. 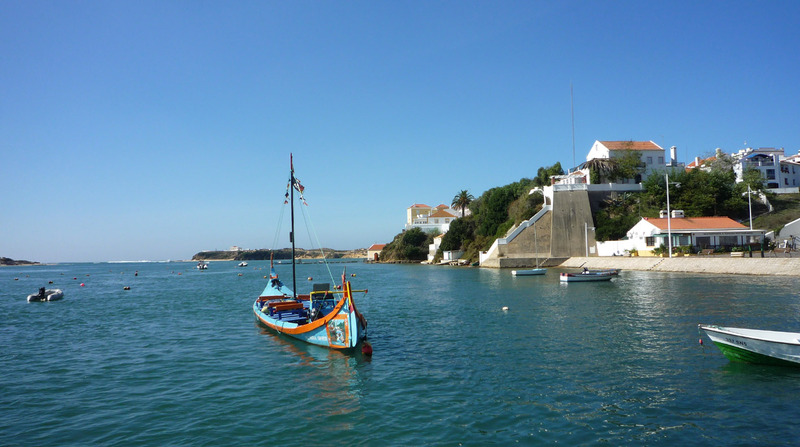 If you did want to break the journey, Aljustrel is a small town with a few accommodation options about 71km from Vila Nova – although without a lot else to tempt you to stop. If you want to break the journey between Beja and Évora, then Alvito is a pretty small town with some interesting old buildings. 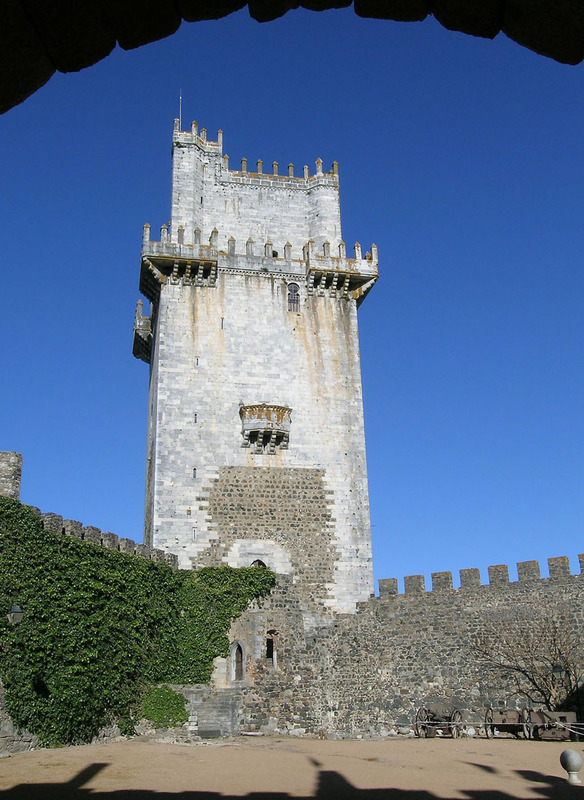 Accommodation options here include a pousada inside the castle. As mentioned above, the only real climb of this section is near the beginning. Leaving Vila Nova, head north east on the N390. The first 8km are fairly flat, climbing very gently through an area of pine and eucalyptus plantation. Then, first turning east, the road begins to climb more noticeably and curve around to the south. After about 1.5km, the road curves right around and turns north – which is where the main climb starts. However, it’s less than 1km to the top and that’s the only significant hill between the coast and Evora. The rest of the ride to Beja is across rolling farmland – much of it endless wheat fields. This area gets very little rainfall and can look parched and quite desolate after the wheat is harvested. Beja rises up out of the Alentejo plains seemingly from nowhere. Some of its surroundings aren’t that beautiful but there’s an attractive old centre with some fine buildings, including the castelo and its tower. You’re still on the plains as you leave Beja but after 20km you reach Cuba – a small but quite attractive agricultural town. The terrain also starts to get a bit more varied as you head north from Cuba, approaching a line of small hills that mark the boundary between the Beja and Évora districts. There’s a bit of a climb up to Alvito but it’s a very pretty little place and well worth a stop. There’s another gentle climb – and a nice descent – as you approach the next town on your route. Viana do Alentejo isn’t as attractive as Alvito but has another old castle with some fancy battlements. North of Viana, you’re back on the plains and it’s pretty flat and open for the last 30km as you approach Évora. The route shown takes you off to the left as you’re getting close – this is to avoid the N18, which is one of the few roads in the Alentejo that can be pretty busy. If you want to get to the campsite, turn left when you get to the ring-road (Circular de Évora) and turn left again at the third roundabout. The campsite is then almost immediately on your right. Évora itself is worth at least a day to look around. It also makes a good base for exploring the surrounding area. 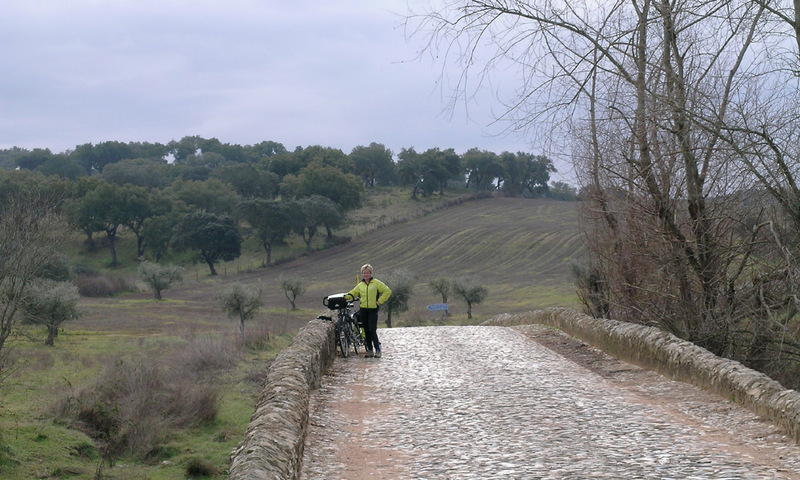 The Cork & Carpets ride to Arraiolos and the Alentejo Panorama starting from nearby Estremoz would both give you a real flavour of the Alto Alentejo. Accommodation & Provisions: The Alentejo is one of the least populated parts of Portugal and there will be some long stretches where it’s just you and the road ahead – so don’t expect to find a cafe every 10km! Beja and Évora are the principal towns of the Alentejo’s two districts and should be able to provide anything you need. You’ll also find (smaller) supermarkets, cafes, hotels etc in Vila Nova, Aljustrel and Viana do Alentejo. Alvito doesn’t have much in the way of shops but does offer a selection of places to stay. There are campsites at Beja and Évora but none others on route.